Last year Alonso beat the Belgian in all qualifying sessions and multiplied by four points, but the Englishman believes he has a season "to learn and adapt." It had never happened and Fernando Alonso won against Stoffel Vandoorne, winning in 21 of the 21 qualifying sessions, the Spaniard scored 50 points for the Belgian's 12 and in the race alone in Brazil the GP2 champion was better in 2015 than the two-time champion of F1. 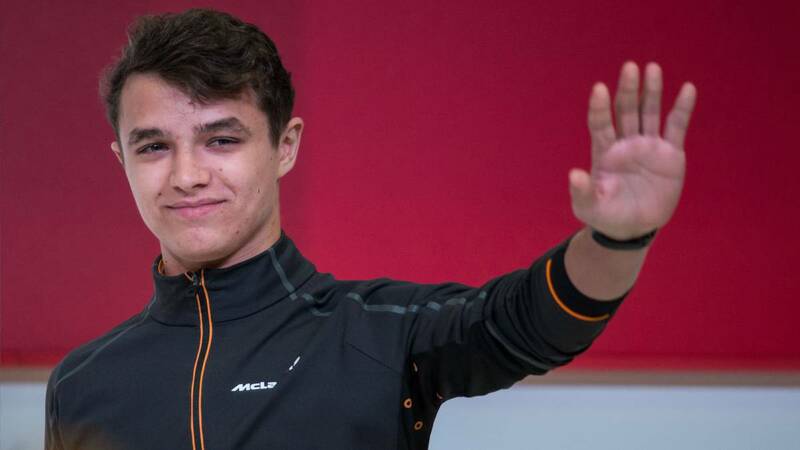 Now neither is on the team, neither the Spanish nor the Belgian, a driver who, on the other hand, dazzled in his debut at Bahréin 2016 when he qualified ahead of Jenson Button and was tenth, scoring with that McLaren Honda. But this season already it's up to others. Alonso is replaced by Sainz and Vandoorne by Norris. However, the British, runner-up of F2 last year, is not afraid to become an English version of Stoffel. "It is difficult to know what it was about and why it could not reach its maximum performance, I personally concentrate on myself. If Carlos Sainz wins me in the first race I will have to analyze where he has been stronger exactly, I think I have a whole season to learn and adapt, right now I'm not worried about that, "he explains in the press of his country. More beyond that particular, Lando is convinced that things are going to go much better this year at McLaren. And before anyone says anything, they can tell him ... he admits that he already knows ... "I can feel the things that are happening in the team, I've been in the factory, I've met a lot of people and I can say that the base now is another. They all trust each other and they know how to improve the car. Yes, I know that this is the same as we said last year, but since then we have worked a lot to understand the car and identify the causes of the problems we had ", Lando points. Y finally launches a message of realism: "It's not going to be a simple solution, overnight, it's clear that we will not win races this season." Well, time will tell, if McLaren goes better (with little) and if Sainz gets the same as Alonso with his teammate. We will see.